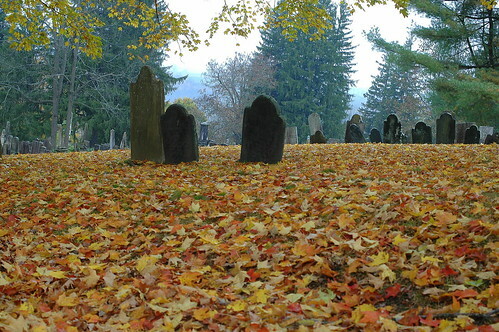 graveyard in fall, originally uploaded by jahansell. They seem at peace, don't they? It looks great with all the leaves. Nice composition as well. Very good perspective, playing with the contrast of colours. I love it.